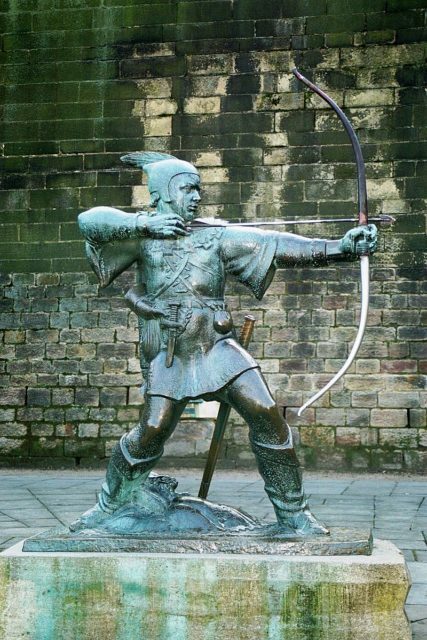 Many are familiar with the legend of Robin Hood: the alleged son of a nobleman who, with his band of “merry men” stole from the rich to give to the poor in England during the age of King John. However, he was not the only “prince of thieves” during this period. William of Cassingham, also known as William of Kensham, went by the alias Willikin of the Weald. He was a squire from Cassingham (today known as Kensham) in Kent during the time of the First Baron’s War (1215-1217), which was a civil war in England during which several prominent landowners and noblemen were split in their support for King John of England and the future Louis VIII of France, who had invaded England in a bid to seize the crown from John. The Weald is a part of Kent and Sussex, which stretches from London to the English Channel. 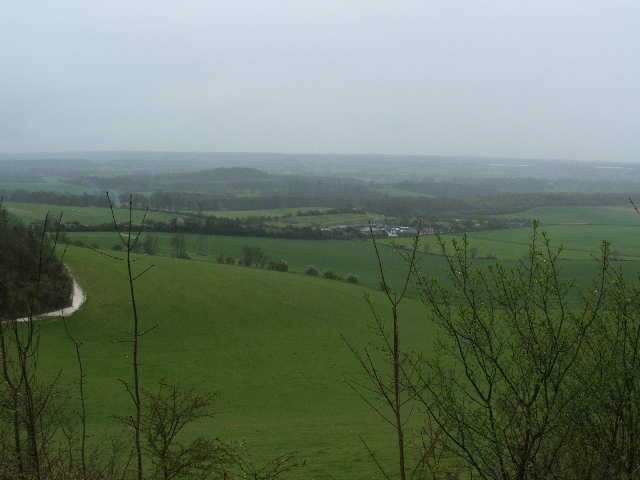 It was heavily forested, with little population, and this area became the battlefield for William of Cassingham in his fight against the French. A monk by the name of Roger of Wendover wrote at the time that William, “a certain youth, a fighter, and a loyalist,” refused to give fealty to Prince Louis, and instead brought together a group of archers, 1,000 in total, as a guerrilla army. 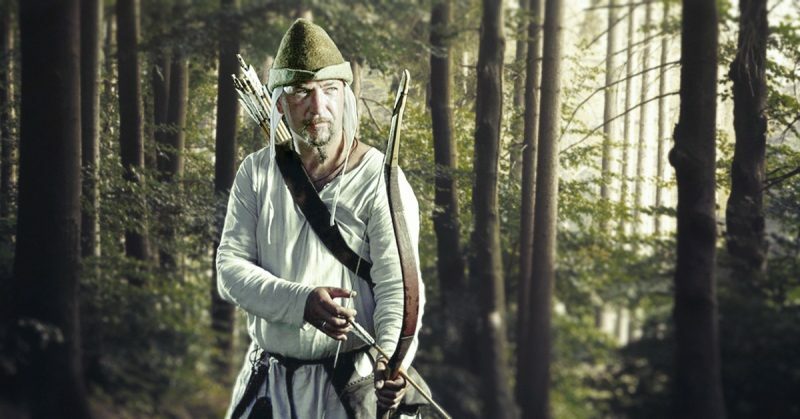 Just like the actions of the better-known Robin Hood, William and his group would attack the French as they moved through the forests of the Weald. The archers were protected in the heavily treed areas, as they could quickly hide amongst the brush and disappear into the thick forest. As locals, they knew the area very well, unlike the French knights, and could use this knowledge to their advantage — not only in terms of moving from village to village to find food, but also with regards to tactics. However, whereas the passage of time (and the influence of Hollywood) has painted Robin Hood as a rather chivalrous character, William of the Weald was known to be quite brutal. Labeled an outlaw, just like Robin Hood, he did not take any prisoners; any French soldiers who were captured or who surrendered would be killed. His group simply did not have the means to guard any captives, nor feed them. According to period chronicles, William was also known to take items that the French had stolen and return them to their rightful owners. As a result, not only were William and his men a group of highly effective fighters, but they also had a great deal of local support, and were often provided with provisions, shelter, and information with regard to the French. 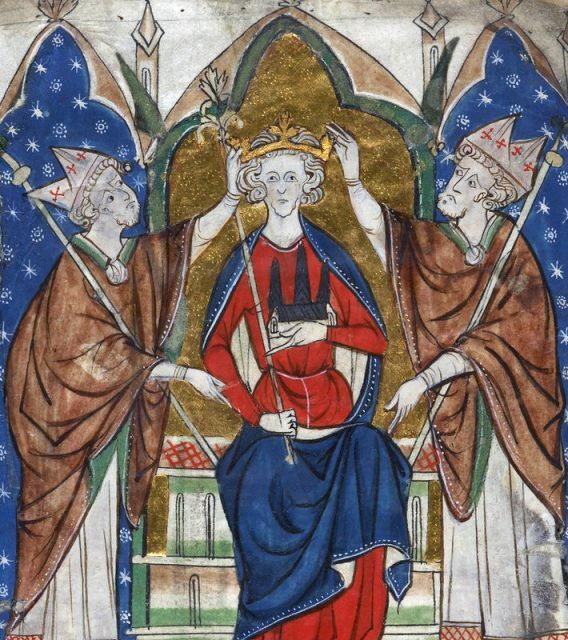 When King John died in 1216 and Henry III came to the throne at the mere age of 9, much of the support for Louis in England dissipated, bolstering efforts to oust the French. William swore allegiance to the new king and continued in his efforts against the French. He and his army were so effective against the invading force in southern England that Louis even sought reinforcements from France. William’s forces managed to cut off French supply lines from London, and French attempts to gain provisions from local villages were met with force, including volleys of arrows. When Louis attempted to rescue his forces by landing an army at Dover, William and his army encircled the camp, burned it and killed many of the French invaders. In the end, after Louis sacked the towns of Sandwich, Hythe and Romney in an attempt to regain a foothold in the south, his army was again surrounded by William and his group of archers. 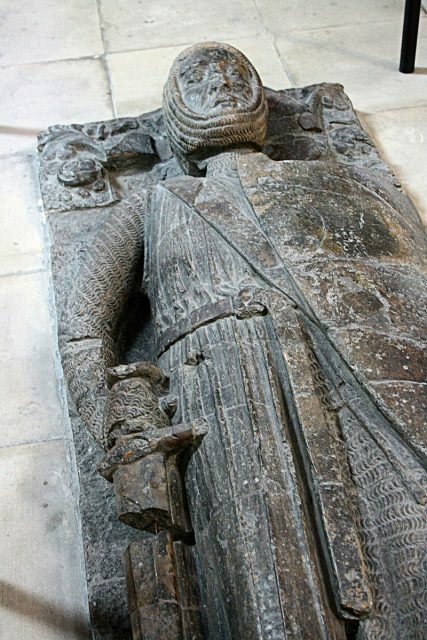 By the spring of 1217, William’s reputation had grown so large that William Marshal, England’s best-known knight of the time and protector of the young King Henry III, gave him joint command of the forces that were outside of Dover. By the summer of that same year, Louis’ forces were defeated, and he was forced to retreat to France. The civil war in England came to a close when William Marshall reissued Magna Carta and peace returned England once again. For his service, William of Cassingham was named Warden of the Seven Hundreds of the Weald and Sergeant of the Peace. He died in the same village he was from – Cassingham – in 1257. Some historians, including Sean McGlynn of the University of Plymouth and the Open University, have claimed that William of Cassingham is Robin Hood, or, rather, that the character of the latter is based on the deeds of the former. 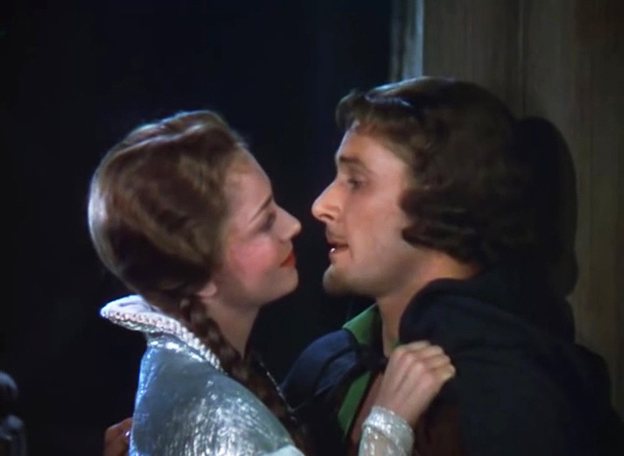 Errol Flynn Olivia de Havilland in The Adventures of Robin Hood (1938). McGlynn has stated that William would have been “legend in his own time” and this is evidenced by his exploits having been written down in at least three different chronicles. 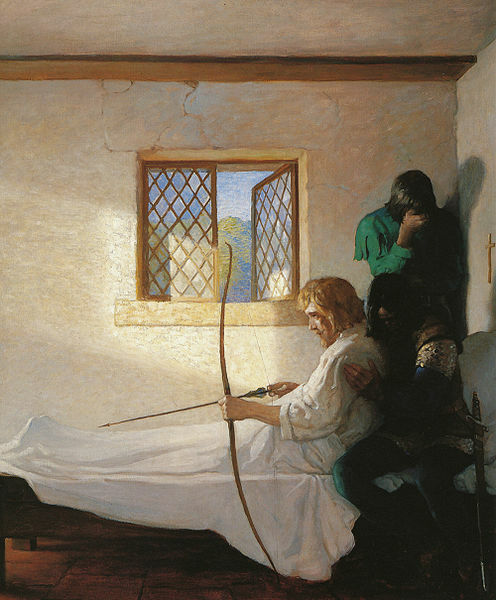 However, McGlynn’s and other theories put forward have not been wholly accepted, and the origin of the legend of Robin Hood continues to be debated.